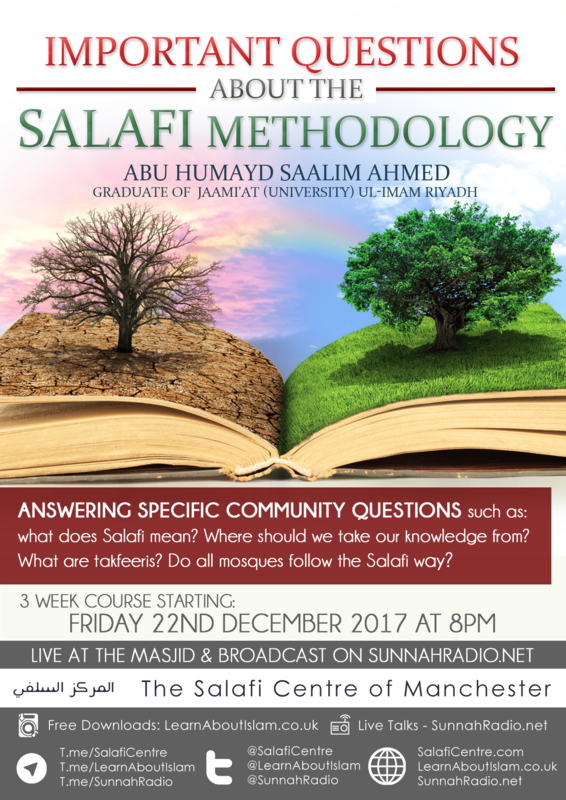 This Friday, 22nd December 8pm will be the beginning of a 3 week series revolving around the Salafi Methodology. Ustaadh Abu Humaid will be answering, common and important, questions from our community. By the permission of Allah removing any doubts or misconceptions people may have regarding this blessed dawah.